Or as Sean Kelly will always insist on calling them – bonifications. In the first week of the 2015 Tour, the first three riders across the line will earn 10, 6 and 4 seconds. Does this matter? Well, yes, it does. Or at least it does if you think that merely wearing the yellow jersey is a big deal in itself. 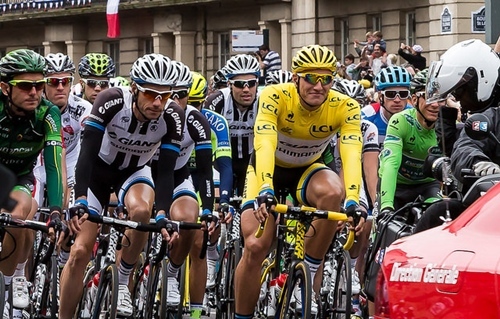 Is wearing the yellow jersey a big deal in itself? There are no prizes for being 1-0 up at half-time in football, but if it’s not immediately apparent to you, cycling is very much not football. It’s cycling. In cycling, you compete for seemingly pointless things and the mere fact that a lot of people are competing for these things means they are no longer pointless. Make no mistake, wearing the maillot jaune is a big deal. Gallopin’ Tony wore it for all of a day in the 2014 Tour, but old Tone will remember that day as being one of the highlights of his career. Not every rider can win the Tour de France, even if they are the very best at one particular branch of road cycling. Marcel Kittel is the best sprinter, but a sprinter can never win the Tour. Tom Boonen is one of the all-time great classics riders, but he can never win the Tour. These guys simply don’t have the right physique to win a three-week stage race that visits the mountains, but yet the biggest road race there is takes three weeks and visits the mountains. This means that leading the race before it reaches the Alps or Pyrenees is basically the ultimate for them. So why do time bonuses matter? In 2012, Fabian Cancellara won the opening prologue and then held the yellow jersey uncontested for a week. After stage one, he had a seven second lead over Bradley Wiggins. At the end of stage six, he had a seven second lead over Bradley Wiggins. This was great for Fabian, but a bit boring for the audience and the other riders. However, bonuses would have changed this as they create gaps where there otherwise wouldn’t be any. The 2015 Tour starts with a 14km time trial, so there’s a chance for the time trialists to take yellow. After that, we get a flat stage, so depending on what time they’ve lost the previous day, the sprinters could get a chance to take the jersey via the 10 second bonus. That also makes the time trial more interesting because messrs Kittel, Cavendish et al. will need to keep themselves within striking distance rather than ambling around like they don’t give a toss. After that, there’s a finish atop the Mur de Huy, so those who can cope with short, sharp climbs will probably get a chance to lead the race and a few more sprint stages after that mean the lead could change hands again before the puncheurs get a second chance on the Mur de Bretagne on stage eight. What’s with all the murs? No Olly, but you may have noticed his tarmac brothers, Huy and Bretagne, being mentioned in that last section. 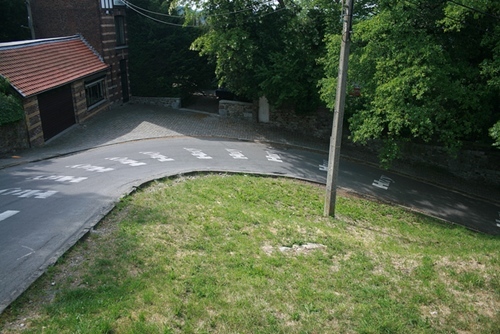 ‘Mur’ means ‘wall’ in French, so these are basically very steep hills. Crucially, they aren’t mountains – they’re short. If you want a bit more info as to the ramifications of this, I outlined the physiological demands in my preview of the Sheffield stage of last year’s Tour. It’s basically a harder effort. You’ll know by now that I love a narrative – some way of linking the season together to make it seem more coherent than it really is. I branded 2014 the Year of the Cobble. The importance of the cobbled stage of the Tour meant it made sense to do so, but it was also a good excuse to focus on some great races that aren’t quite so high profile. Thanks to those two Murs in the first week of this year’s Tour, 2015 will see this site paying a bit more attention to the Ardennes Classics. These hilly cousins of the cobbled races also offer great one-day racing and they too are often overlooked. The results this spring might offer a clue who might wear yellow in the first week of the Tour and, as mentioned above – yes, that is a big deal. La Fleche Wallonne will be of particular interest as it finishes on the Mur de Huy. It’ll be of interest to us for what we can learn, but it’ll be of interest to the Grand Tour riders as well as it provides ideal preparation for a key stage of their biggest target of the season. Expect a few more of them to take part than usual. It could be a very hotly-contested race. No idea what that means, but it’s surely worth watching out for.